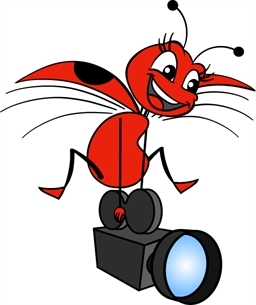 If a project was started in Adobe Flash, you can add more dimension to it by adding multiplane camera movements or effects to it. Although *.fla files are not supported, you can export your Flash project to *.swf movies and import them into Studio. When you import an SWF file into your scene, its contents are expanded and laid out as a collection of elements. 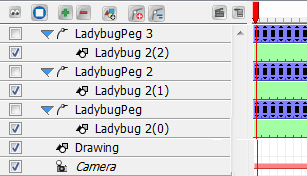 Pegs are automatically created to manage any scaling, rotation or motion animated in the file. A new palette is automatically created and given a name corresponding to the movie file. This palette contains all the colours in the movie. 2. Browse for your video file and click Open. The video appears in the Timeline view. Each SWF element has its own drawing layer which is connected to pegs (if there is a motion). A palette is also created in the Colour Palette view. You can import SWF files as template from the Library view and link SWF files into Media Elements—see Importing Multimedia files into the Library view and Linking Templates to Media Elements.